I'm not a sneaky person. I don't believe in tricking anyone into eating anything because I wouldn't want to be tricked, myself. Howeverrrr, I totally get it. Sometimes you've just gotta do what you've gotta do in order to make the little people eat. No judgement here. On the contrary, here's some help! 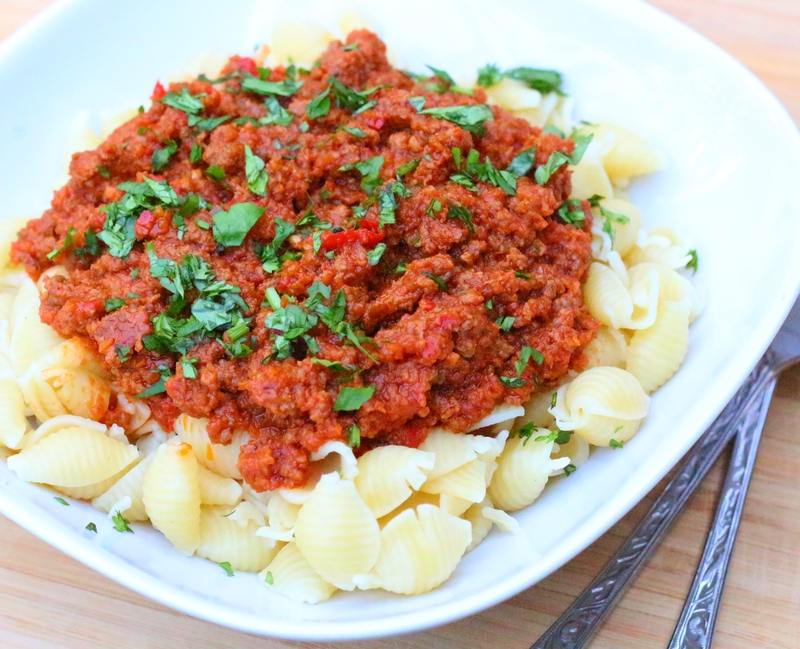 This hidden veggie meat sauce is so good, it fooled the adults at the table too. Not that I was being sneaky about it.. but I could've been.